The great Tennessee Williams’ birthday is Wednesday, March 26th, and given the major impact his works have had on cinema, The Retro Set is dedicating this week to examining his film adaptations both big and small. Tennessee Williams was enjoying an unparalleled string of hits both in film and theatre, from 1944 with the mounting of his most revered work, The Glass Menagerie, through 1955’s Cat on a Hot Tin Roof. Even though during this fertile period he was the toast of Broadway and Hollywood, personal doubt and depression, like many artists, plagued him until his death. 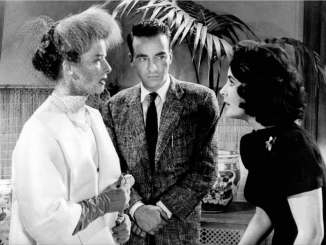 His film adaptations of The Glass Menagerie, followed by A Streetcar Named Desire, The Rose Tattoo, Baby Doll, Cat On a Hot Tin Roof, and Suddenly, Last Summer, were all box office hits. The one play, though, that had been troubling him and had gone through several variations on and off the stage, was Orpheus Descending. Even so, any Williams property was considered “hot,” and in 1959 it was optioned to be written for the screen. It was such a personal piece for the writer that he agreed to adapt it himself, along with newbie screenwriter Meade Roberts. The play, based on an earlier work of Williams’, 1939’s Battle of Angels, was a modern retelling of the Greek legend Orpheus: a musician, poet and entertainer who could charm man and beast, and even swayed the devil into returning his wife Eurydice from Hades, but ends up destroyed by the mortals who cannot understand his divine beauty. In Williams’ hands, Orpheus is reincarnated as Val Xavier, a snakeskin jacket clad drifter with a guitar that rebels against his unseemly life as a gigolo and arrested for tearing up a nightclub. He’s released from a New Orleans jail with the understanding that must leave town and never return. It seems his disarming beauty and charm make him virtually irresistible to any woman, as well as churning up the ire of every man. He wanders out of the rain into a small-town and ends up working as a clerk in a five-and-dime store, owned by a vicious and bigoted man, Jabe Torrance, dying of cancer in the upstairs bedroom. Lady Torrance, the owner’s wife, takes Val on, because she wishes to build a confectionary in the back of the store; something her ailing husband has never been in favor of, but in his state, gives her the belief she can get away with. Val’s appearance in town creates a tension equal to a seismic shift within the denizens, from the sheriff’s wife, a good and artistic woman who is inspired by Val’s presence to paint, to the rebellious alcoholic prostitute who knew Val when he was deep in the Big Easy nightlife. He understands her, but resists falling back into that world. Although Lady Torrance claims her interest in Val is only as an employee, it’s clear she lusts after him. Brando’s world weary Val knows what’s coming, but he’s drawn to her as well, as much as he struggles to regain his “purity” and walk the straight and narrow. Lady does all she can to resist him, but he represents the life she lost as a child and the promise of spiritual and sexual freedom. She reveals to Val that as an Italian immigrant, her father’s wine orchard was burned to the ground, and he with it, by a mob of vigilantes. Lady sees the confectionary she wants built as her last chance at redemption. Williams wrote the play with powerhouse Marlon Brando in mind as Val, and Anna Magnani, as Lady Torrance. For several reasons the two wouldn’t commit to the stage roles, but independent financiers Martin Juro and Richard A. Shepherd were not only able to get the two dream leads, but also fresh young filmmaker Sidney Lumet, hot off the success of Twelve Angry Men. But dream casts sometimes only work in dreams, as the production was beset with problems. Much has been written about Magnani’s esteem issues (she was almost twenty years older than co-star Brando, and concerned he was more “beautiful” than she was) as well as her huge crush on him. When she attempted to seduce him, he rejected her, and the two ended up hating each other throughout filming. Brando himself took the role because of the 1 million dollar paycheck, which he desperately needed. He was in a custody battle with his ex-wife, and his first (and only) directorial effort One Eyed Jacks was in post production hell, having gone over schedule and budget. The Fugitive Kind was the first production (of many) that Brando purposely “mumbled” his lines through, in this case, to make it difficult for the Italian speaking Magnani to understand him. 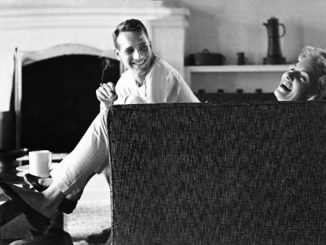 Brando also had difficulty with supporting player Joanne Woodward as the psychologically troubled prostitute. Even at the young age of 29, Woodward was a no-nonsense actor, and her style clashed with Brando’s. There are many other stories of production issues (supporting cast member Maureen Stapleton, playing the sheriff’s wife, Vee Talbott, had originated the Lady Torrance role on Broadway, and had to endure playing a much smaller part in the film) but what’s most important is the film’s quality and ability to hold its own today. It does, and probably sustains better than other Williams’ adaptations . Magnani was always a force to be reckoned with, from her explosion on the international scene in Rossellini’s neorealist milestone, Open City (1945) through her Academy Award winning performance in Williams’ The Rose Tattoo (1955), also written for her. Her earthy, sexually charged performance as Lady Torrance plays quite believably today, when matched against Brando’s seething, barely contained “method” style. Much like the offscreen repulsion between Singin’ in the Rain’s Don Lockwood and Lina Lamont, the onscreen fireworks between Magnani and Brando prove electrifying. Lumet’s staging, working with cinematographer Boris Kaufman, is a thing of beauty. The black-and-white images are a visual tone poem; extreme contrasting areas of the frame alert us to darkness all around the characters; Magnani starts out in medium shots, her frame soft, but as the story and the truth become apparent, she becomes sharper, less glamorized, more flesh and blood and blemished. The film’s opening scene, a single, continuous take, follows Brando out of his jail cell and in front of the offscreen judge, and allows the actor to do what he does best; become the character. Brando takes his time, answering questions, struggling to find the words and explain his plight. It’s a masterclass in acting without performing; he is just being. As with many great writers, Williams often rendered a character as his alter ego. Here, it’s Lady Torrance: vilified in the small town for being an outsider and born from a “foreigner,” we see her beauty even if the town cannot.Her husband, who obviously married her so he could “own” her, is the town bully, he’s even got the sheriff under his thumb. We know she and Val are doomed; but we can’t help but watch as Lady twists and turns in the foul political wind, using her very force of will to make her confectionary work. Williams was often critical of his plays’ film adaptations, but he had an active hand in The Fugitive Kind. Still, he was not pleased with the final outcome, nor were audiences and critics. They found its dialogue too poetic, its allegorical structure too “high falutin'” and its politics; too ridiculous. The film was a flop, and began a major slump for Brando, which he didn’t climb out of until The Godfather and Last Tango in Paris, nearly a decade later in 1972. By then, he had become so bitter over Hollywood that his on set difficulties overshadowed his great onscreen work. Still and all, today, The Fugitive Kind deserves to be screened much more often than it does, and reconsidered as one of Williams’ stronger pieces, and for Magnani and Brando’s searing performances, as well as further testament of Sidney Lumet’s skillful and prescient direction.